Recently the Flat Connections Global Educator 14-1 cohort (February-June, 2014) graduated NINE new educators. After a rigorous and fully supported journey to understand how to flatten the classroom and promote online collaboration, including global project design and management, each of these participants concluded with a global presentation sharing their final project ideas. These projects are uniquely local in context and focus on the needs of the teacher-designer with ideas and plans to join classrooms for flattened learning and understanding about the world. These educators are to be congratulated for not only their willingness to explore and learn more about using technology to flatten learning, but also to put themselves in the shoes of their students - the course requires teachers to not only learn about global collaborative techniques to transplant back to their own classrooms, but expects them to model this themselves via the required assignments and weekly interactions. Using art as a way to learn about diversity and cultures. This project will start in Colorado as a pilot in the coming year. A combination of networking portals and Web 2.0 tools to foster interaction and collaboration will be used e.g. Voicethread, Padlet. Contributions will be individual and team-based. Above all students will be asked to share and respond with new ideas, art work and presentation material. The goal of this project is to expand students' understanding of digital citizenship, especially in the areas of online safety, privacy and cyberbullying. 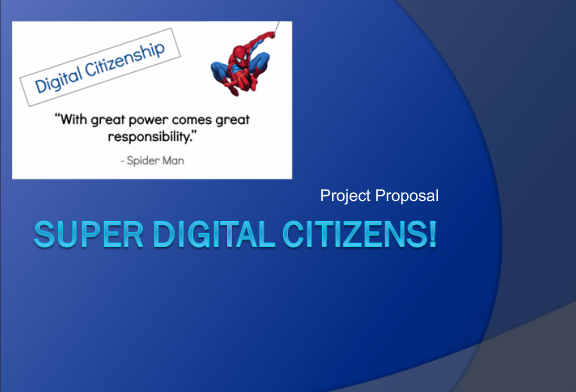 Then through the opportunity to discuss these topics with others beyond the immediate classroom walls come to an understanding of what it means to be a 'Super Digital Citizen'. 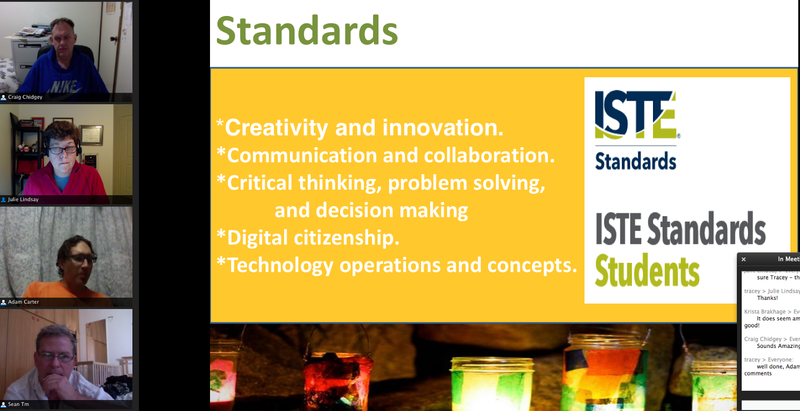 Commonsense media and ISTE standards resources to be used. The project is designed for fifth grade. A collection of Web 2.0 tools including Edmodo and Glogster will be used. Dan and Wayne are both technology trainers and as part of the FCGE course designed new course material to specifically support their teachers in Colorado. Their goal is to use Blackboard Collaborate to supplement the face-to-face meetings and to give support to teachers who want to embed Web 2.0 tools, in-class collaboration and ultimately local/global collaborative experiences into their classroom. With his move to teach at the Schutz American School in Egypt this coming year Adam has designed a 1-year global opportunity for students that involves an intense study and interaction with Ethiopia. His goal is to focus on making a difference to that country through research, interaction, a real-time trip to visit and collaborations. This project is multidisciplinary with an emphasis on Humanities/Social Studies. Emerging technologies will be used to foster connections and collaborations between classrooms. Adam has carefully designed this project to be embedded into everyday learning so that all learners become involved in deeper understanding about another country with a view to creating opportunities to make a difference. Tracey took the concept and practice of 3D Printing to create this authentic, multi-age global entrepreneurship project. To do so she forged connections with other educators at the K-12 and tertiary levels. The essential question is 'How can students use technology to impact the world and themselves?' 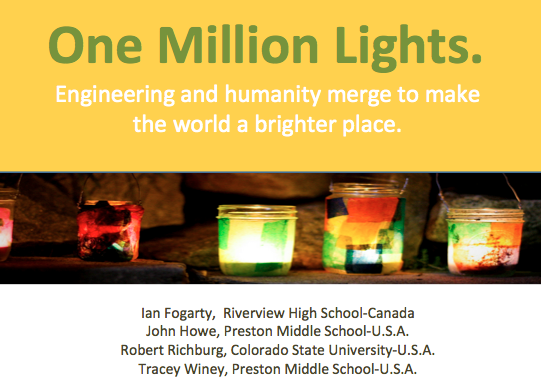 and in conjunction with an engineering focus and a problem kids can solve, One Million Lights is an amazing and unique global opportunity. Basically students will design 3D lights that can be printed in other parts of the world. The goal is to share these with less advantaged communities so they have light to read and study with at night. Logistics are being worked on to launch the project this coming year. 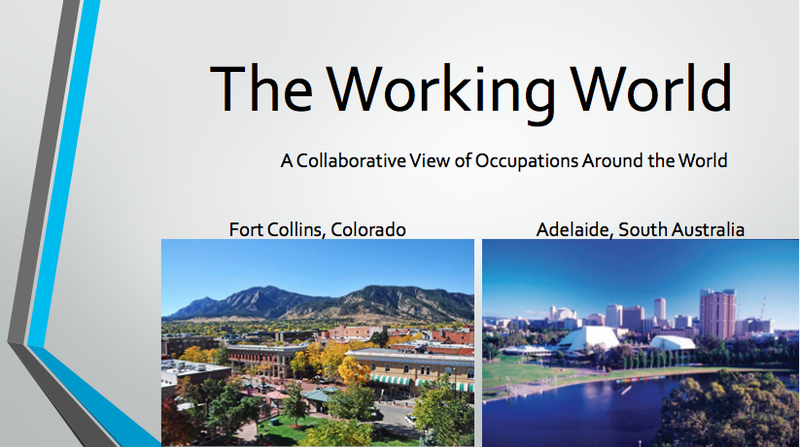 Craig and Krista joined together from Colorado and South Australia to co-create this global project that looks at occupations people have. Research, interviews and final videos showcasing the working world are a feature of this unique global interaction. The project has scope to include multiple disciplines and needs within the curriculum, including career education and social action studies. This project will join students from different world areas to compare, contrast and co-create vital resources that build understanding. 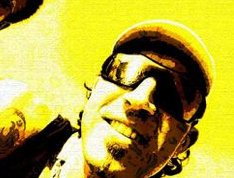 Sean has a goal of empowering educators across Europe to raise awareness of connected learning, PLN development and community learning. 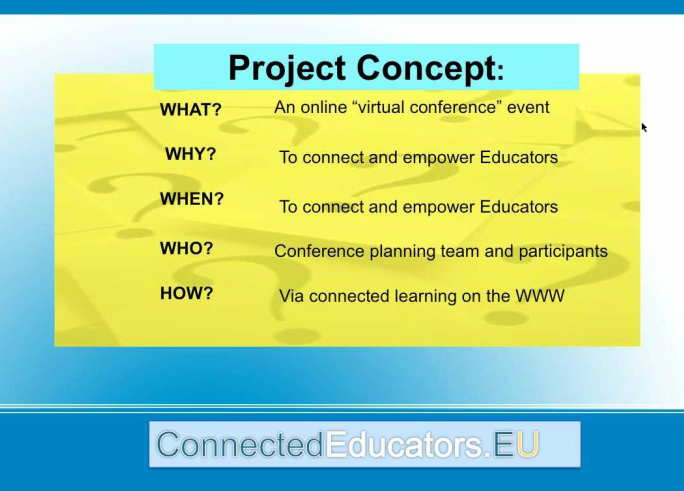 Learning from the various connected educator conferences in existence already this inaugural event will kick-start European educators into more determined and focused connected learning with a view to supporting essential collaborations that lead to global curriculum implementations. What is a Flat Connections Global Educator? Flat Connections Global Educators are educators from across the world, of all grade levels and disciplines. They commonality is being open to new learning opportunities using digital tools and to want to redesign curriculum so that it supports learning about the world, with the world. The educators above are out there doing this - they are 'teacherpreneurs' in their schools - and for many they are the only ones in their immediate learning environment who understand the benefits of global collaborative learning. They are leading the way, taking steps to embed collaborative practice and global learning into their curriculum, planning to provide rich multicultural and technology-infused experiences for their students. I encourage readers of this blog to support them. Come and join our teacher network and interact with them via the FCGE 14-1 cohort group. Are you interested in joining a supportive cohort of global learners to embed global collaborative practices into your classroom or school? Do you have new curriculum ideas and want to join your class beyond your immediate walls? There are TWO opportunities offered in September 2014. These are shared via the Flat Connections, Flat Professional Development website. 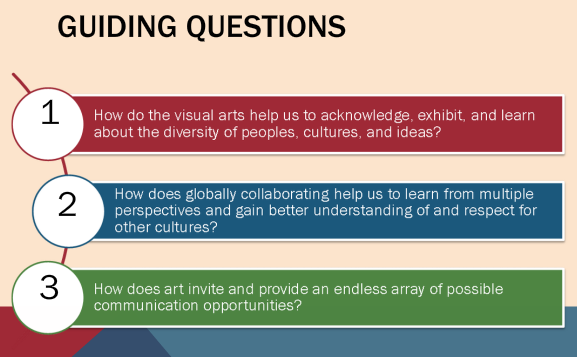 Read more about global collaborative projects and teacher professional development to take learning global on the Flat Connections website. This blog post is cross-posted with the Flat Connections Blog.